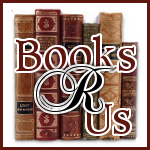 Ginger High- Books R Us: ENTER TO WIN A KINDLE, NOOK OR SONY E-READER. ENTER TO WIN A KINDLE, NOOK OR SONY E-READER. The Park Avenue Princess is Hosting a great contest. The Author of Liquid Soul Matthew Carter is giving away your choice of a kindle, the Nook or the Sony E-reader as a grand prize. For more information head on over to the Park Ave Princess and enter this great contest.